You don't have time to scout out the best coffee in your own city, much less the entire world. That's where Collected Coffee comes in, curating a great coffee that is delivered directly to you each month. They start by talking to roasters around the world and then selecting beans that's both unique and delicious. They then taste the selections blind before choosing the blend of the month. A partner roaster then roasts the beans to order and bags them on site before sealing them fresh and sending them to you. Coffee is finally curated for people that love it, from a team dedicated to providing a great experience. Take complete control of your coffee drinking right from your phone with Doers Coffee. This new custom roasting service lets you choose fresh beans from the best regions on the globe, available as single-origin or mix-n-match blends, then have them roasted to your specifications for intensity, temperature, and duration. You can get your blend as whole beans, ground coffee, or in your choice of Nespresso capsules or Keurig K-Cups, and no matter which options you choose, you'll have your order in 2-3 days. The result is a great cup of coffee, no matter how you choose to brew it. It's not easy to acquire a true latte without traveling to a coffee shop or firing up an expensive machine at home. But now, you get maximum taste that requires minimum effort thanks to La Colombe's Draft Latte. Each latte comes in a 9 ounce can that is ready-to-drink and features the same texture and foam that you'd get from your local barista. The blend includes an all-natural blend of cold-pressed espresso, milk, and 2 grams of cane sugar. Best served cold with a shelf life of up to 180 days. You drink coffee every day. 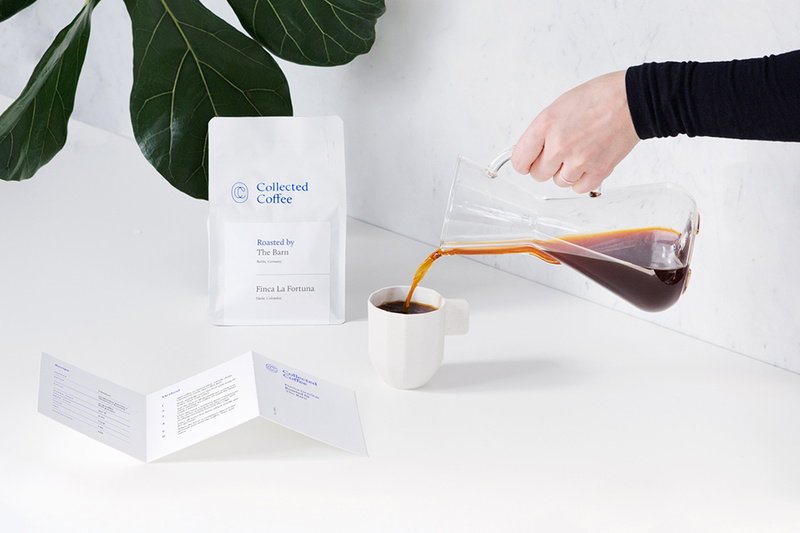 Make sure it's worth your time with a subscription to Blue Bottle Coffee. This subscription service/cafe network visits farms around the world in search of the best beans, then roasts them to order, and delivers them to your door, giving you the freshest drink possible. They always have a selection of single origin coffees available, with early access to select coffees for members, and since you choose the frequency of deliveries, you don't have to worry about getting more than you need, or worse, running out mid-week. Made with highly sought-after El Puente Gesha beans, the new Stumptown Grand Cru Cold Brew is a coffee experience unlike any other. When brewed with traditional methods, this rare variety offers a flavor reminiscent of tea, with notes of both bergamot and tropical fruit. By cold brewing it, Stumptown created something even more unique, with a bright, crisp flavor and notes of orange blossom and papaya, and a sweet finish that brings to mind crème brûlée. It comes in 750ml bottles, and is available exclusively in Stumptown cafes for a limited time. Many already rely on coffee to provide a jumpstart to our day, and with Jane's Brew Cannabis-Infused Coffee, you'll not only get that kick, but also enjoy the benefits of high grade CO2 cannabis oil. Each House Of Jane coffee is THC-infused, and you can choose from caffeinated, decaf, or cappuccino. Giving you a new, focused start, these coffees can be enjoyed hot or over ice, and leaves zero cannabis smell or aftertaste. Absinthe was banned in the United States and in several European countries one hundred years ago, but now is flourishing with over 200 active brands. This Absinthe Coffee is testament to the popularity of the once vilified concoction, infused with fennel, wormwood, licorice, and anise flavors. A unique coffee drinking experience that is made in the USA and only available at World Market.